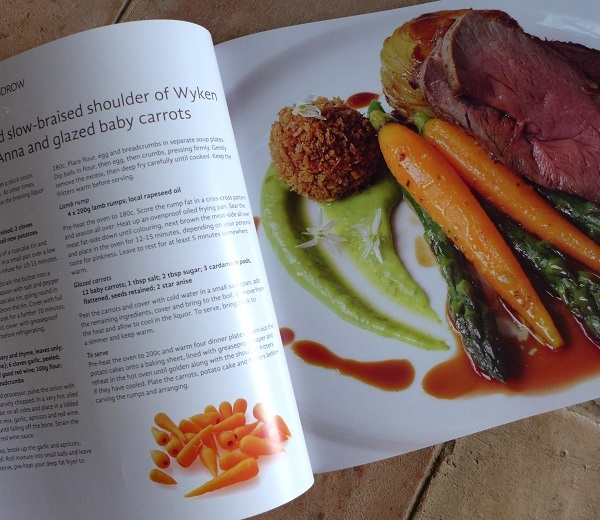 Included in my booty was a new cookery book, Suffolk Feast, by Tessa Allingham and Glyn Williams (details below). It showcases not only 20 of the county’s top chefs but also their favourite producers. It’s a winning combination for a food lover because it covers so many bases – the chefs themselves, reviews of their restaurants, their food and where they source it and a selection of their recipes. If you don’t already live in Suffolk when you read it, you’ll probably be checking out the estate agents’ websites right after you look up the restaurants. I happened to have a fine piece of lamb rump sitting in the fridge so today’s recipe is inspired by Simon Woodrow, head chef at the Leaping Hare at Wyken Vineyards in Stanton. I served it with his suggestion of sauce soubise, a creamy onion sauce. My lamb rump came from Jimmy Denny at Alburgh Lamb, just over the border from us in Norfolk (email: piedbridge@aol.com). His lambs are chunky beasts so the rump was twice as big as most. It’s a cut popular with chefs but rare in butchers’ shops – I think they take them home and eat them themselves. Ask your favourite butcher to keep some for you. 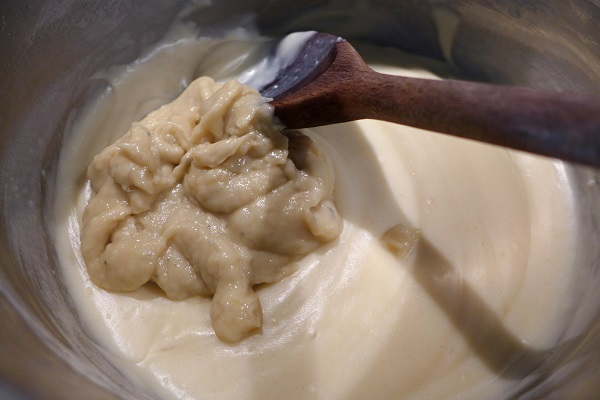 To make the sauce soubise, melt half the butter in a saucepan on a low heat and cook the chopped onions until they’re very soft. Keep stirring them, they shouldn’t brown. Once they’re done, purée them until smooth. In a clean pan, melt the rest of the butter and stir in the flour. Cook for a minute or two then slowly add the milk, stirring or whisking all the time so you don’t get any lumps. 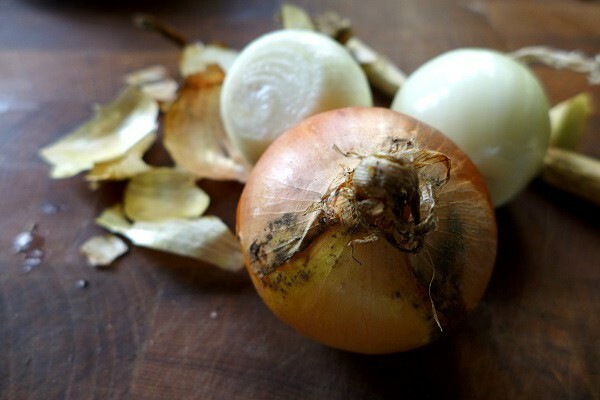 Once it’s all incorporated, cook the sauce until it’s thick, smooth and glossy and no longer tastes of flour, remove from the heat and add the onion purée. Season to taste with salt and ground white pepper and set aside to keep warm. If you’re making this ahead of time, put a piece of plastic wrap over the surface to stop a skin forming. Add the double cream when you re-heat it just before serving. Trim the lamp rump of any random bits of fat but leave some on for cooking. Score the fat on top in a criss-cross pattern with a sharp knife. Season well, then put a heavy-based oven-proof pan on the hob until it’s very hot and add 2 tbsp of oil. Cook the lamb fat-side down until it’s colouring, then turn and quickly sauté on all sides until nicely browned. Place in the oven for 12-15 minutes, depending on how pink you like it, then remove and allow to rest somewhere warm for at least five minutes before carving. We ate this with the sauce soubise, sautéed new potatoes and Simon’s delicately spiced glazed carrots – but you’ll have to buy the book if you want that recipe. 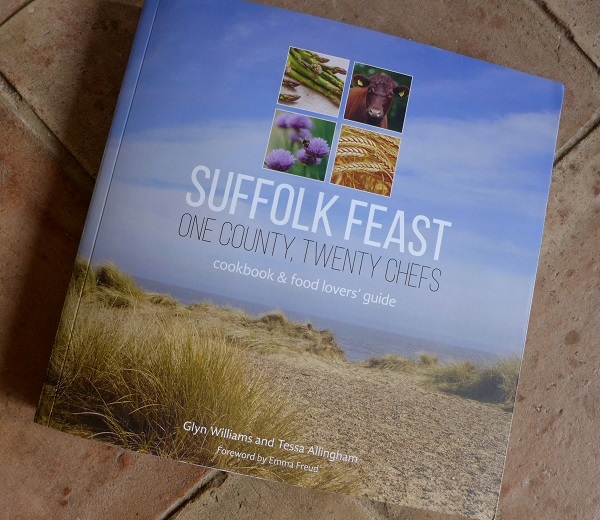 I’m told it will be available from late October via suffolkfeast.co.uk, at Aldeburgh Book Shop, at Suffolk farmers’ markets and of course at all 20 restaurants in the book. If you just can’t wait (and why should you?) drop a line to Glyn and Tessa at office@feastpublishing.co.uk and get ahead of the queue. 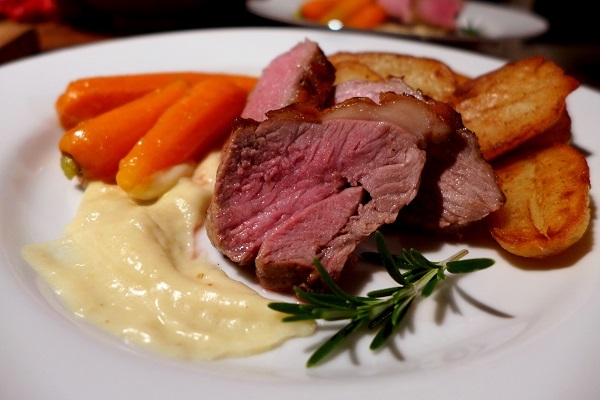 This entry was posted in Lamb and kid, Mains, Sauces and tagged Glyn Williams, Lamb Rump with Sauce Soubise, onion sauce, Simon Woodrow, Suffolk Feast, Suffolk food, Tessa Allingham, the Leaping Hare by Linda Duffin. Bookmark the permalink. Thank god, I am eating an early lunch while reading this – otherwise it would count as torture. 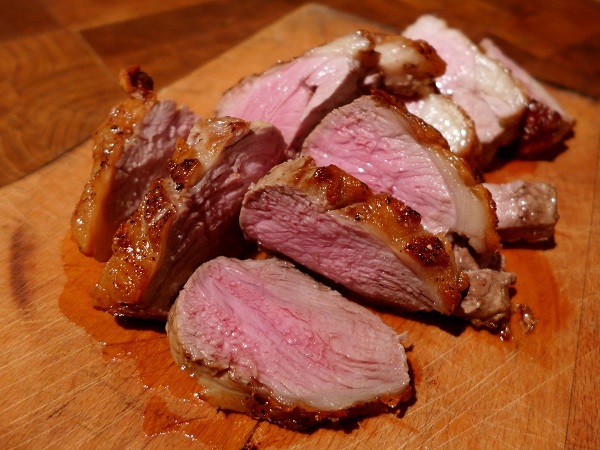 What a gorgeous piece of lamb, totally inspiring for this weekend’s menu! Never had sauce Soubise (though did a long paper on the Hôtel Soubise in Paris once) but that sounds a perfect good match – it can’t be mint sauce all the time (in my opinion). Excellent post Mrs P. The rump is a favourite of mine. They are not easy to come by here because people are suspicious of them, I feel. 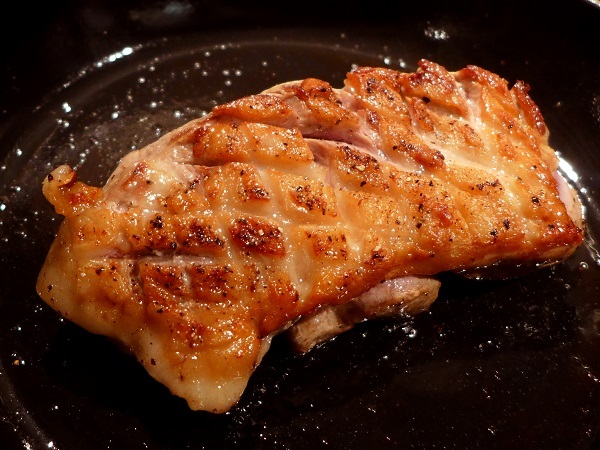 Restaurants love them because they are inexpensive and if cooked correctly, delicious. Love the sauce too. Lovely, I’ll bet that’ll be delicious.